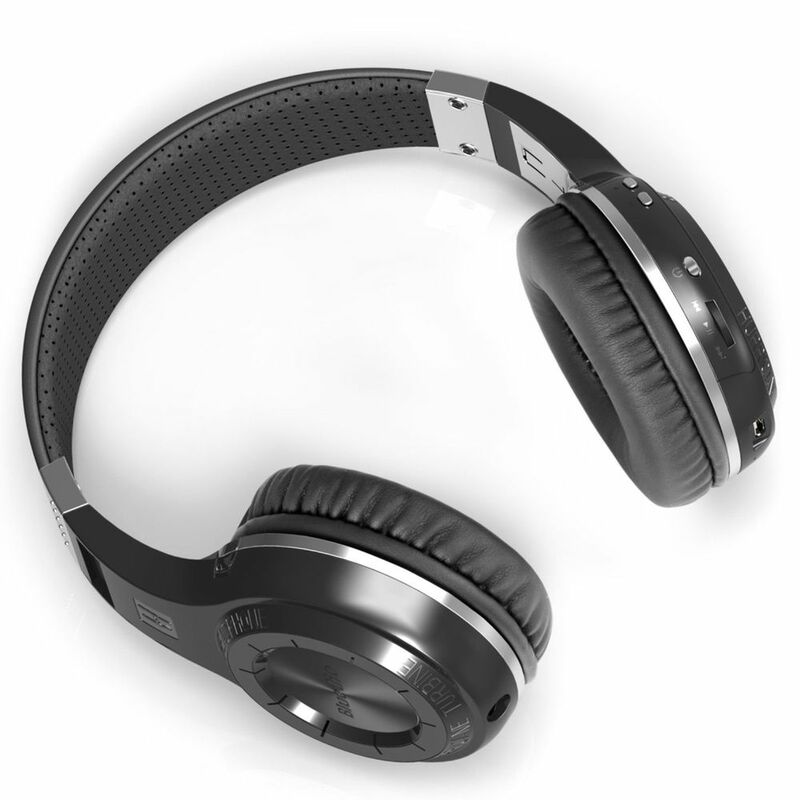 After extensive research, Bluedio has found that current headphones on the market have lots of common defects, such as serious noise, flat sound, stuffy appearance, etc. 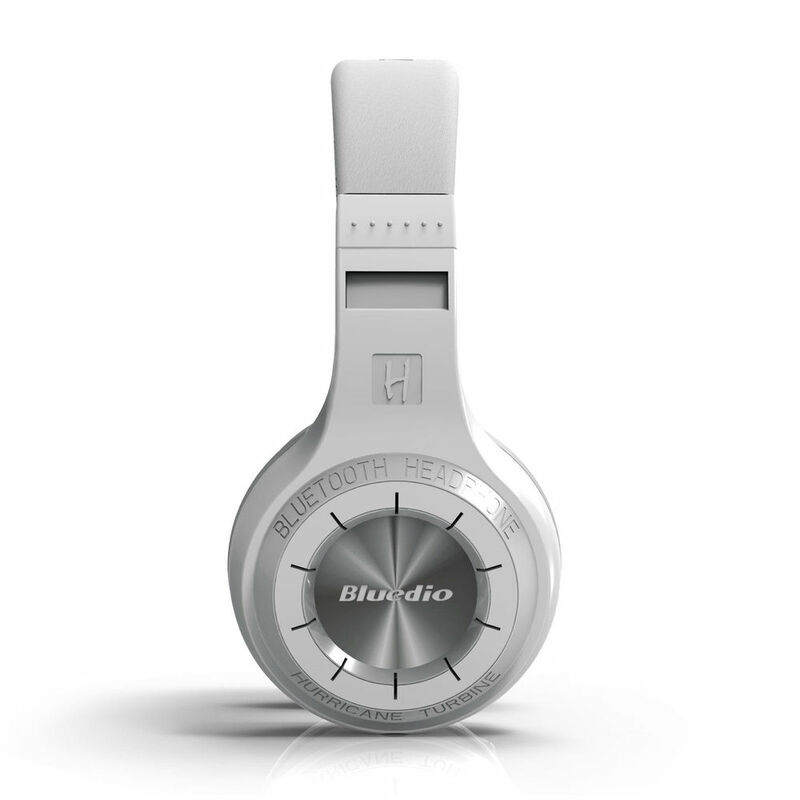 For these reasons, after 3 years of R&D, Bluedio have come up with the Bluedio Turbine Hurricane H Headset. 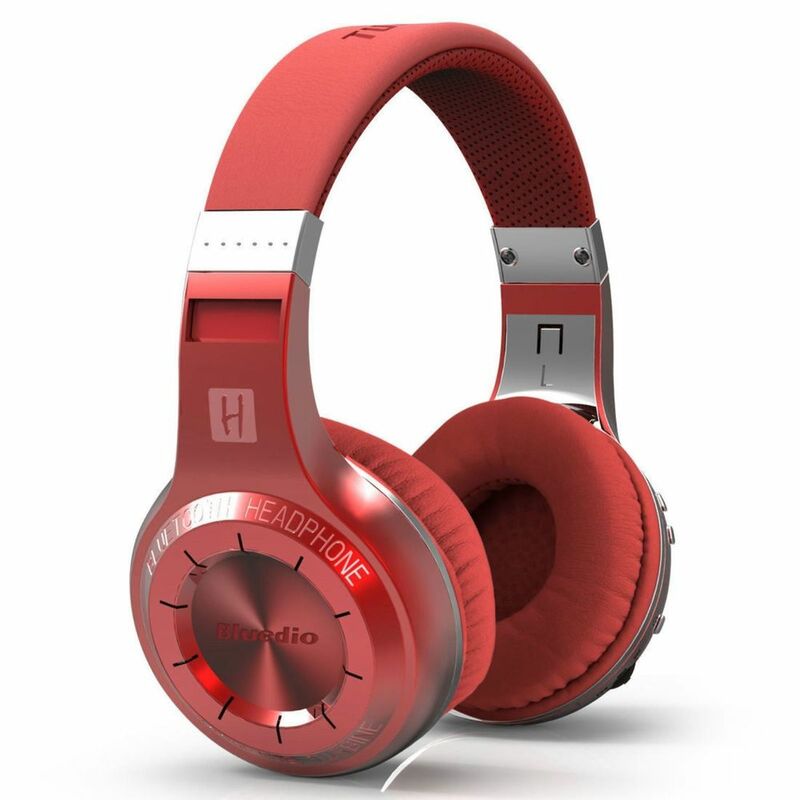 The Bluedio Turbine Hurricane H Headset is compatible with iOS, Android, and Windows. 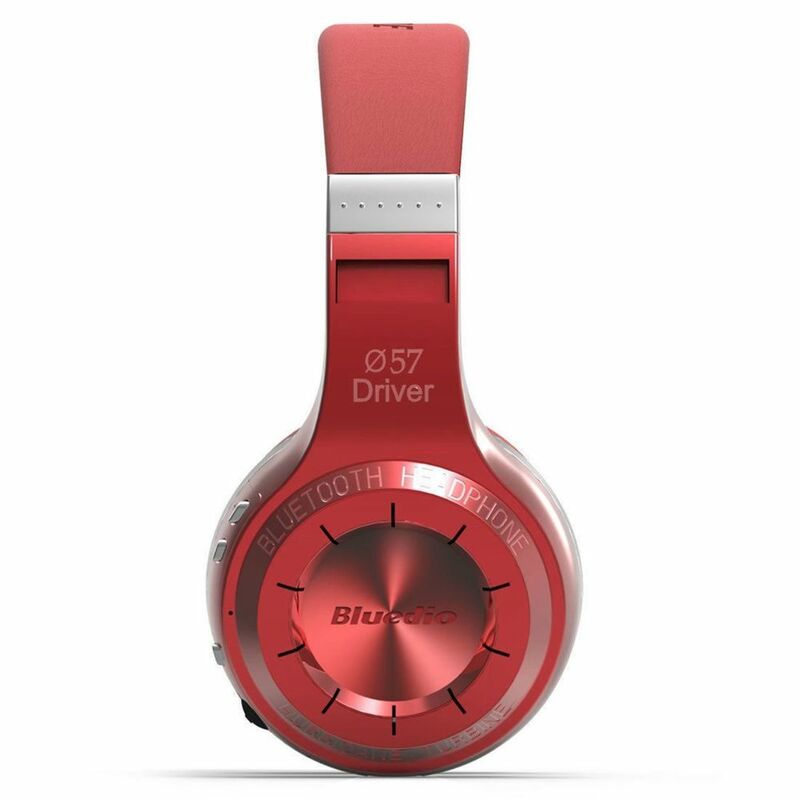 57mm ultra-large dynamic drivers, turbine style housing, and Bluedio's iconic surging low-frequency shock let you feel deep bass resonance for superior sound quality. 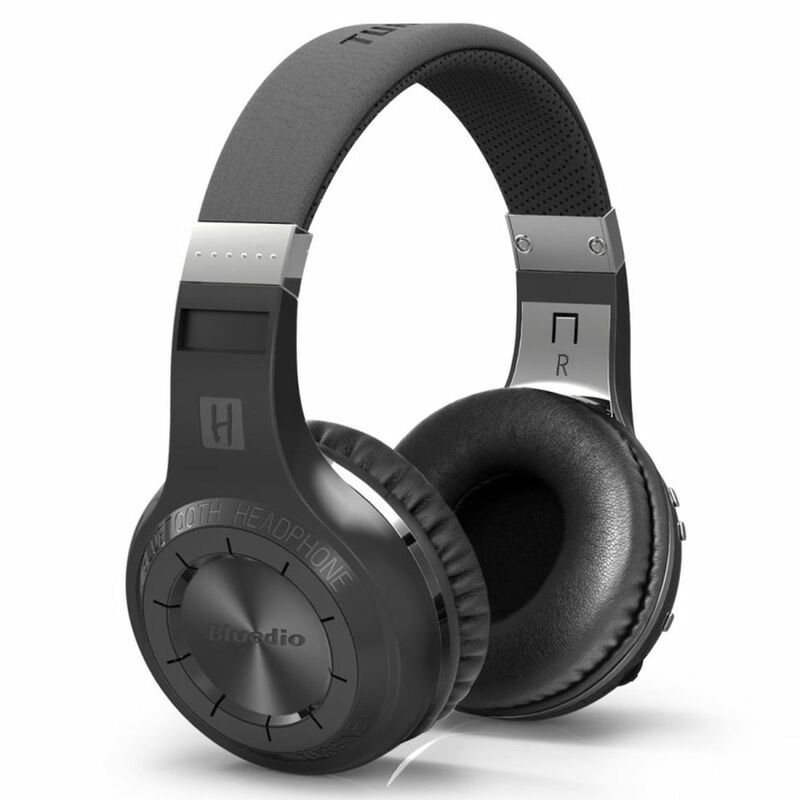 With the robust high speed CPU of Bluetooth 4.1 operating system, the Bluedio Turbine Hurricane H boasts a long usage time of 40 hours of music, 45 hours talk time, and 1625 hours (approximately 67 days) standby time.Acoustic echo cancellation and noise reduction reduce ambient noise while speaking. 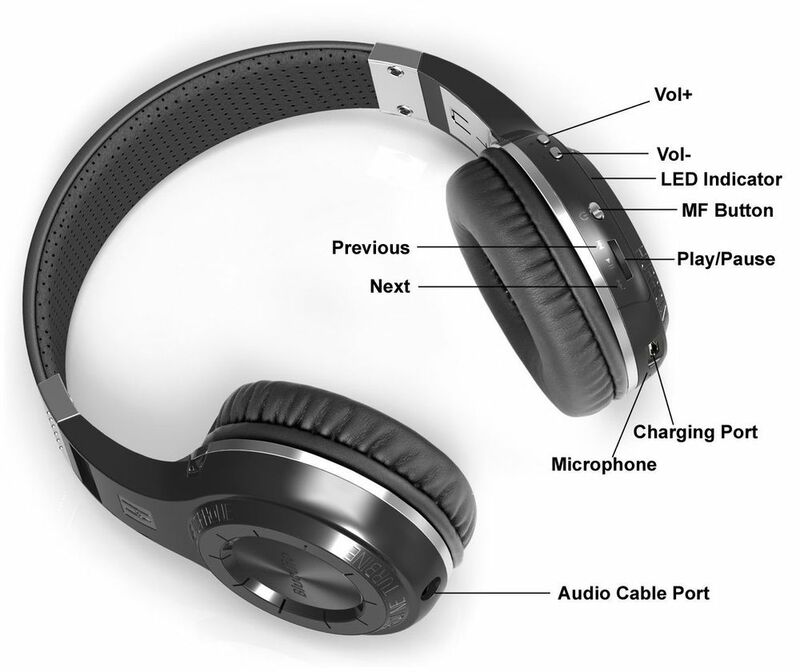 Audio Sharing allows you to connect to another H headset via an audio cable, and share music with your friends (* it is recommended that headphones with impedance of 32Ω or higher be used). 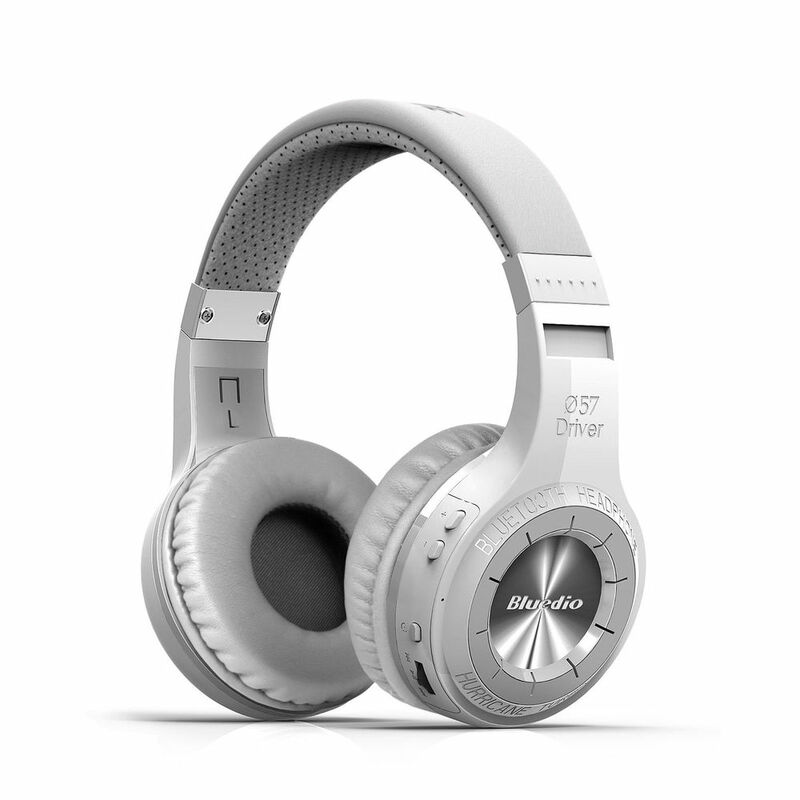 Simultaneously connect two Bluetooth devices, connect with your phone and tablet seamlessly, and listen to music as you please! 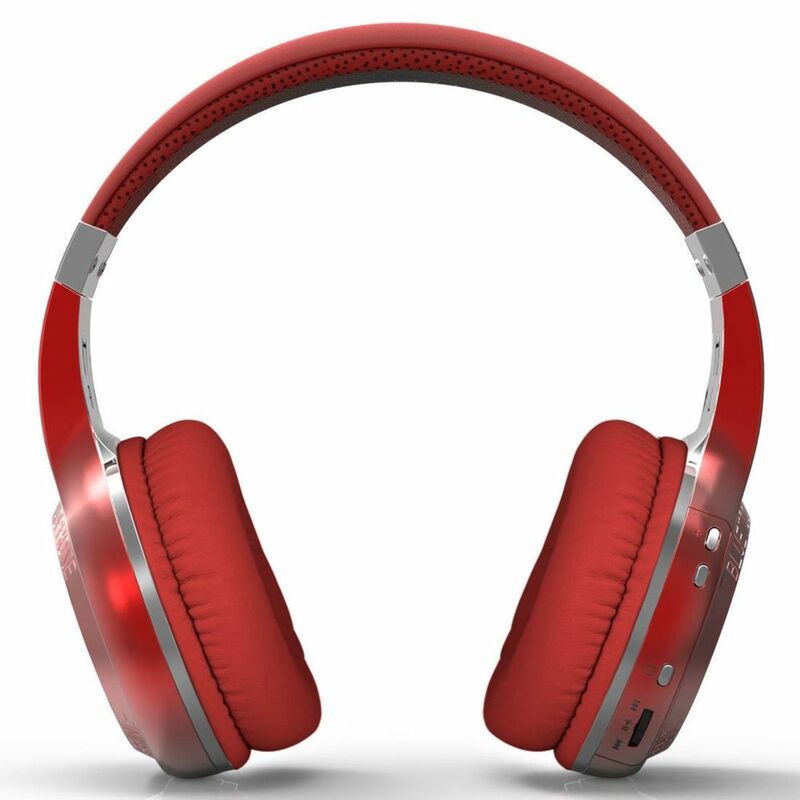 Custom fit supra-aural soft earmuffs and artificial protein leather of earmuffs simulated to human skin texture ensure long-lasting comfort. 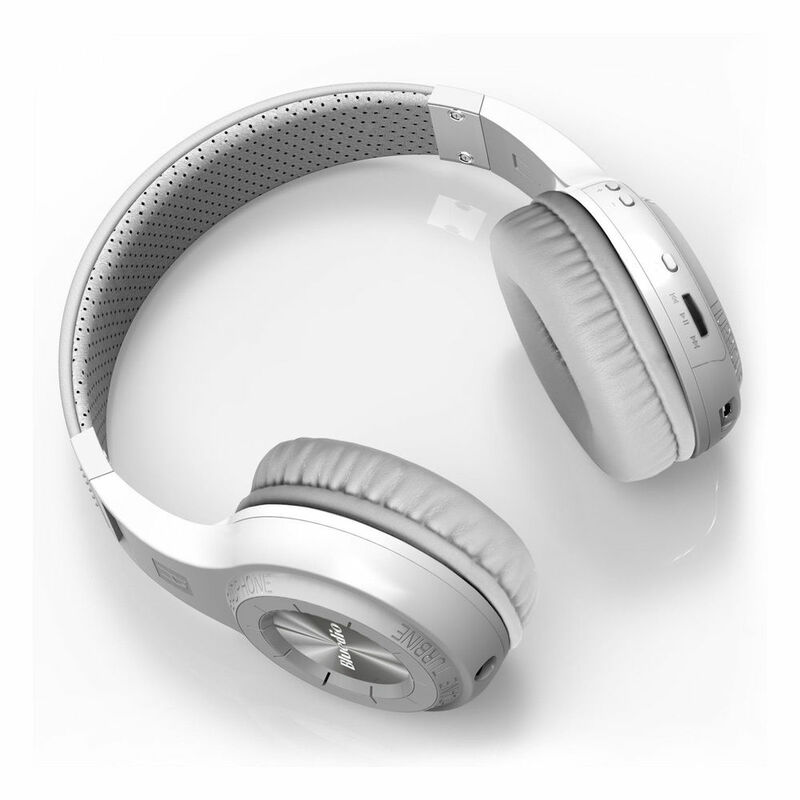 Just plug in with an audio cable , and listen to your favorite music tracks. The Hurricane H also has voice prompts in 4 languages (English, French, Spanish, and Chinese).